← The Christmas Story.. and dont you forget it. For some reason, perhaps it was my upbringing, but setting goals is an intricate part of my life. With this in mind it is no surprise that New Years resolutions are my speciality. I thrive on every aspect of this yearly process. Over the years my New Years resolutions have shaped Ozy into the man you see today. Three years ago who thought it would be possible to eat 7 wheetbix for breakfast for every day of the entire year. Two years ago people couldn’t believe it was possible to wear the same item of clothing for an entire year, something which I proved with relative ease. As this year comes to an end I have used the same Gillette Razor everyday for an entire year. Sadly, though I am a rare breed in this sphere of life. A large percentage of society shrug their shoulders at New Years and spend the time eating and drinking too much. Another large group go to the opposite extreme and make huge plans, usually around the theme of diets and fitness, and have failed by the second Sunday in January. In my opinion these people fail to realise the potential of this time of year and ultimately they don’t take the opportunity that the beginning of a new year offers. New Years should be seen as a chance to turn over a new page in your book of life. For those unfamiliar with reading New Years could then be seen as a chance to change the channel of your life. For those without a TV New Years could be a chance to turn over a new leaf. I think you get my drift!!! Sadly though my yearly time of reflection has hit a dry patch and I am struggling on what could be a good New Years resolution for Ozy Mandias in 2010. Remember this is the start of a new decade so I want something special and memorable. Here is where you, a valued Ozymandias Warning reader, can help me. I would like to put forward this proposition. 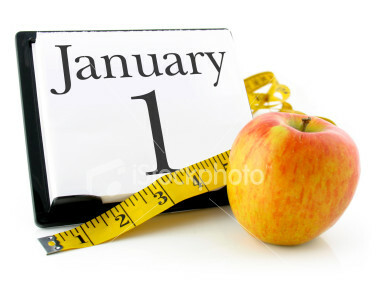 You can put forward your ideas for Ozy’s 2010 New Years challenge. To do this leave a comment below detailing the exact nature of Ozy’s challenge. I will look through the ideas and come up with a list of the challenges I think are the best and attempt them in 2010. No idea is to bazaar in this competition so put on your thinking hat and put forward your idea. There is however one catch to every idea that you put forward. To keep things in perspective each person who nominates an idea must choose one of following two conditions on your challenge. Firstly, you have to try to complete the challenge as well during 2010. If you don’t like that option you can choose to provide a wager or incentive to assist me in my 2010 quest. Posted on December 26, 2009, in HUMOUR MATTERS and tagged New Years, personal challenge. Bookmark the permalink. 29 Comments. Suggestion One: Wear the same underwear everyday for a year (for hygiene reasons washing is allowed). I will have to put up a wager for this one of $50 as don’t think matching you with this would be good for my marriage and reproduction! Excellent idea. Could be difficult considering the running I do, but your idea is the best so far. Suggestion Two: Make a tube of toothpaste last for a year – will match you with this one. Another good one. Would take some impressive planning to complete. Suggestion Three: Give your brother in-law a gift every week of the year 🙂 Will think of some more over the next few days …. Stupid idea!!! Although it means you would have to give me a present every week as well. hmmm, Have seen a few of your collegues were out of standard with their dress and neatness. Sorry no can do. Please refer to the rules as kisses are not included as a viable wager. Phone your mother once a week and have a five minute conversation where you listen attentively and also make conversation appropriately…. I’m sure your mother would really appreciate this one!!!! Thanks for your comment Mrs Goodthought. SDaly your idea is not a good thought. 5 minutes is a long time to pretend to talk to someone. 30 seconds a better option. 30 seconds doesn’t really rate although I think your mother would think thirty seconds is better than nothing!!!! Happy phoning!! 30 seconds!!! Is that the best you can do….maybe alittle longer would be better… go on give it a go…you can do it, I know you can!!! Technically does that mean I can go back to bed at 6:10am!!! my sister requested that you eat the same food every day for a year – breakfast, lunch and dinner. ie) weetbix for breaky, sandwich for lunch, meat and tatties for dinner … eat and repeat everyday. No changes allowed, not even the spread on your sandwiches. Thanks Lee. Excellent idea and could be a goer. Dont know about all three meals but could go with breakfast and perhaps lunch. It can be done on your own. you could run for 42.5kms non stop. you also can create your own route. Go a year with out watching TV. you still allowed to watch tv at school or a dvd/video out of home.